During most of this century, American health policy has emphasized caring for acute conditions rather than preventing and managing chronic illness - even though chronic illness has caused most sickness and death since the 1920s. 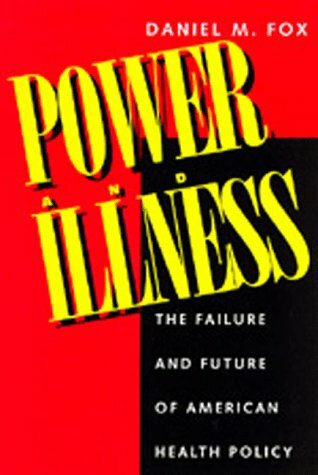 In this provocative and wide-ranging book, Daniel Fox explains why this has been so and offers a forceful argument for fundamental change in national health care priorities. The intersection of health care, politics, and policy is a controversial one, and this book of lively essays takes on many of today's hot health topics: alternative medicine, health care reform, screening mammograms, taxes to change behavior, etc. This is the official U. S. government Medicare handbook with important information about the following: What's new; Medicare costs; What Medicare covers; Health and prescription drug plans; Your Medicare rights; and more.